This article is about the Mayerling incident. For other uses, see Mayerling (disambiguation). The Mayerling incident is the series of events surrounding the apparent murder–suicide of Rudolf, Crown Prince of Austria (21 August 1858 – 30 January 1889) and his lover, Baroness Mary Vetsera (19 March 1871 – 30 January 1889). Rudolf, who was married to Princess Stéphanie of Belgium, was the only son of Emperor Franz Joseph and Empress Elisabeth, and heir apparent to the throne of the Austro-Hungarian Empire. Rudolf's mistress was the daughter of Baron Albin Vetsera, a diplomat at the Austrian court. The bodies of the 30-year-old Archduke and the 17-year-old baroness were discovered in the Imperial hunting lodge at Mayerling in the Vienna Woods, 26.6 kilometres (16.5 mi) southwest of the capital, on the morning of 30 January 1889. The death of the crown prince had momentous consequences for the course of history in the nineteenth century. It had a devastating effect on the already compromised marriage of the Imperial couple and interrupted the security inherent in the immediate line of Habsburg dynastic succession. As Rudolf had no son, the succession would pass to Franz Joseph's brother, Archduke Karl Ludwig, and his eldest son, Archduke Franz Ferdinand. This destabilization endangered the growing reconciliation between the Austrian and Hungarian factions of the empire, which became a catalyst of the developments that led to the assassination of Franz Ferdinand and his wife Sophie by Gavrilo Princip, a Yugoslav nationalist and ethnic Serb, at Sarajevo in June 1914, and the subsequent drift into the First World War. By 1889, many people at the court, including Rudolf's parents and his wife, Stephanie, knew that Rudolf and Mary were having an affair. His marriage to Stephanie was not a particularly happy one and had resulted in the birth of only one daughter, Elisabeth, known as Erzsi. On 29 January 1889, Franz Joseph and Elisabeth gave a family dinner party prior to leaving for Buda, in Hungary, on 31 January; Rudolf excused himself, claiming to be indisposed. He had arranged for a day's shooting at Mayerling hunting lodge early on the morning of the 30th, but when his valet Loschek went to call him, there was no answer. Count Joseph Hoyos, the Archduke's hunting companion, joined in, with no response. They tried to force the door, but it would not give. Finally Loschek smashed in a panel with an axe to find the room shuttered and half-dark. Rudolf was found sitting (by some accounts, lying) motionless by the side of the bed, leaning forward and bleeding from the mouth. Before him on the bedside table stood a glass and a mirror. Without closer examination in the poor light, Loschek assumed that the crown prince had drunk poison from the glass, since he knew strychnine caused bleeding. On the bed lay the body of Mary Vetsera; rigor mortis had already set in. The mistaken impression that poison was involved, and even that the baroness had poisoned the crown prince and then killed herself, would persist for some time. Hoyos did not look any closer, but rushed to the station and took a special train to Vienna. He hurried to the Emperor's Adjutant General, Count Paar, and requested him to break the appalling news to the Emperor. The stifling protocol that characterized every movement in the Hofburg swung ponderously into action; Paar remonstrated that only the Empress could break such catastrophic news to the Emperor. Baron Nopcsa, Controller of the Empress's Household, was sent for, and he in turn sent for Countess Ida Ferenczy, Empress Elisabeth's favorite Hungarian lady-in-waiting, to determine how Her Majesty should be informed. Elisabeth was at her Greek lesson, and was impatient at the interruption. White to the lips, Ferenczy announced that Baron Nopcsa had urgent news. Elisabeth replied that he must wait and come back later. The countess insisted that he must be received immediately, finally being forced to add that there was grave news about the Crown Prince. This account comes from Ferenczy herself and Archduchess Marie Valerie, to whom Elisabeth dictated her memory of the incident, in addition to the description in her diary. The countess entered the room again to find Elisabeth distraught and weeping uncontrollably. At this point, the Emperor appeared outside her apartments, and was forced to wait there with Nopcsa, who was controlling himself only with great effort. The Empress broke the news to her husband in private; he left the room a broken man. The Minister for Police was summoned and the national security services sealed off the hunting lodge and the surrounding area. The body of Mary Vetsera was interred as soon as possible, without judicial inquiry and in secret; her mother was not even allowed to attend her burial. On behalf of the Emperor, Prime Minister Count Eduard Taaffe issued a statement at noon that Rudolf had died "due to a rupture of an aneurism of the heart". The Imperial family and court were still under the impression that he had been poisoned and it appears that even Mary's mother, Baroness Helene Vetsera, initially believed this. It was only when the court medical commission headed by Dr. Widerhofer arrived in Mayerling that afternoon that a more accurate cause of death was established, and not until 6 a.m. the following morning, when Widerhofer made his report to the Emperor, that the true state of affairs became known. The official gazette of Vienna still reported the original story that day: "His Royal and Imperial Highness, Crown Prince Archduke Rudolf, died yesterday at his hunting lodge of Mayerling, near Baden, from the rupture of an aneurism of the heart." Foreign correspondents descended on Mayerling and soon learned that Rudolf's mistress was implicated in his death. This first official version of a heart attack was quickly dropped. At that stage, the "heart failure" version was amended. It was announced that the Archduke had first shot the baroness in a suicide pact and sat by her body for several hours before shooting himself. Rudolf and the Emperor were known to have recently had a violent argument, with Franz Joseph demanding that his son end the liaison with his teenage mistress. Their deaths were the tragic result of the desperate decision of thwarted lovers taken "while the balance of the Archduke's mind was disturbed". The police closed their investigations with surprising haste, in apparent response to the Emperor's wishes. Franz Joseph did everything in his power to get the Church's blessing for Rudolf to be buried in the Kapuzinergruft Imperial Crypt, which would have been impossible had the crown prince deliberately committed murder and suicide. A special dispensation was obtained from the Vatican that declared Rudolf to have been in a state of "mental imbalance", and he now lies with 137 other Habsburgs in the Church of the Capuchins in Vienna. The dossier on the investigations and related actions were not deposited in the state archives, as they would normally have been. The story that Rudolf had violently quarreled with the Emperor over his liaison with Baroness Vetsera may have been spread by agents of Germany's Chancellor, Prince Otto von Bismarck, who had little love for the politically liberal Rudolf. It was certainly doubted by many of Rudolf's close relatives, who knew the chancellor personally. Allegations of a double murder masked as a murder-suicide have also been made. 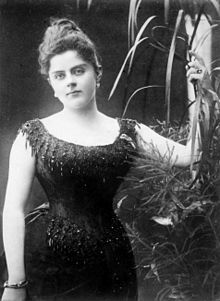 In a series of interviews with the Viennese tabloid newspaper Kronen Zeitung, the Empress Zita, who wasn't born until three years after the incident, expressed her belief that the deaths of Crown Prince Rudolf of Austria and his mistress were not a double suicide, but rather murder by French agents sent by Georges Clemenceau. Rudolf's death may have destroyed his parents' already fragile marriage, certainly changed the imperial succession, and perhaps contributed to the end of the ancient house of Habsburg's rule in 1918. The removal of the liberal Rudolf made Franz Joseph's conservative policies easier to pursue. The mysterious death of Archduke Rudolf immediately caused a dynastic crisis. Because Rudolf was the only son of Franz Joseph, the emperor's brother, Karl Ludwig, became heir-presumptive to the Austro-Hungarian Empire. He renounced his succession rights a few days later in favour of his eldest son, Franz Ferdinand. After Franz Ferdinand's assassination in 1914, Franz Ferdinand's nephew (and Karl Ludwig's grandson), Karl, became the heir-presumptive. Karl would ultimately succeed his great-uncle as Emperor Charles I in 1916. Vetsera's body was spirited out of Mayerling and interred in the graveyard at Heiligenkreuz. The official story of murder-suicide went unchallenged until just after the end of World War II. In 1946, occupying Soviet troops dislodged the granite plate covering the grave and broke into Vetsera's coffin in the graveyard, perhaps hoping to loot it of jewels. This was not discovered until 1955, when the Red Army withdrew from Austria in accordance with the Austrian State Treaty. In 1959, a young physician stationed in the area named Gerd Holler, accompanied by a member of the Vetsera family and specialists in funereal preservation, inspected her remains. Dr. Holler carefully examined the skull and other bones for traces of a bullet hole, but stated that he found no such evidence. Intrigued, Holler claimed he petitioned the Vatican to inspect their 1889 archives of the affair, where the Papal Nuncio's investigation had concluded that only one bullet was fired. Lacking forensic evidence of a second bullet, Holler advanced the theory that Vetsera died accidentally, probably as the result of an abortion, and it was Rudolf who consequently shot himself. Holler witnessed the body's re-interment in a new coffin in 1959. In 1991, Vetsera's remains were disturbed again, this time by Helmut Flatzelsteiner, a Linz furniture dealer who was obsessed with the Mayerling affair. It was initially reported that her bones were strewn round the churchyard for the authorities to retrieve, but Flatzelsteiner actually removed them at night for a private forensic examination at his expense, which finally took place in February 1993. Flatzelsteiner told the examiners that the remains were those of a relative killed some one hundred years ago, who had possibly been shot in the head or stabbed. One expert thought this might be possible, but since the skull was not only in a state of disintegration but was actually incomplete, this could not be confirmed. Flatzelsteiner then approached a journalist at the Kronen Zeitung to sell both the story and Vetsera's skeleton. That these were Vetsera's remains was confirmed through forensic examination. The body was re-interred in the original grave in October 1993, and after a court case Flatzelsteiner paid the abbey some €2000 by way of damages. I am happier in death than life. Marinka – 1945 premier; operetta by Hungarian composer Emmerich Kálmán; libretto by George Marion, Jr. and Karl Farkas, lyrics by George Marion, Jr.
Angel's Coffin (Ave Maria/Tenshi no Hitsugi) – 2000 Japanese manga by You Higuri. ^ Spitznagel, Mark (2013). The Dao of Capital: Austrian Investing in a Distorted World. John Wiley & Sons. p. 95. ISBN 9781118416679. ^ Corti, E. (1936). Elizabeth, Empress of Austria. Yale University Press. p. 391. ^ Corti, E. (1936). Elizabeth, Empress of Austria. Yale University Press. p. 392. ^ Emerson, E. (1902). A History of the Nineteenth Century, Year by Year. 3. New York: P.F. Collier and Son. p. 1695. ^ Brook-Shepherd, G. (1991). The Last Empress – The Life and Times of Zita of Austria-Hungary 1893–1989. Harper-Collins. ISBN 0-00-215861-2. ^ Bassett, R. (2015). For God and Kaiser: The Imperial Austrian Army, 1619–1918. Yale University Press. [ISBN missing]. ^ "The Crown Prince's Successor". The New York Times. 2 February 1889. ^ Holler, G. (1983). Mayerling: The Solution to the Puzzle. Molden. ^ Pannell, R. (November 2008). "Murder at Mayerling?" History Today. 58 (11). p. 67. ^ "Leichnam von Mary Vetsera gestohlen – oesterreich.ORF.at". Ktnv1.orf.at. 19 November 2008. Retrieved 16 November 2012. ^ "Mary Vetsera's suicide letters found". The Local. 31 July 2015. Retrieved 18 December 2018. ^ "Bankers found this 'sensational' love note in a vault that's been untouched since 1926". Business Insider. 31 July 2015. Retrieved 18 December 2018. ^ "Mayerling * Requiem einer Liebe — Home". Mayerling-opera.de. Retrieved 16 November 2012. ^ Logan, David (2011). "Rudolf: a play in two acts". National Library of Australia | Catalogue. Brisbane Dramatic Arts Company. Retrieved 8 March 2019. ^ "Go! Comi, "Angel's Nest."". Gocomi.com. Retrieved 16 November 2012. Barkeley, Richard. (1958). The Road to Mayerling: Life and Death of Crown Prince Rudolph of Austria. London: Macmillan. Franzel, Emil. (1974). Crown Prince Rudolph and the Mayerling Tragedy: Fact and Fiction. Vienna: V. Herold. Graves, Armgaard K. (1915). The Secrets of the Hohenzollerns. Toronto: McClelland, Goodchild & Stewart. Judtmann, Fritz. (1971). Mayerling: The Facts Behind the Legend. London: Harrap. Lonyay, Károly. (1949). Rudolph: The Tragedy of Mayerling. New York: Scribner. Markus, Georg. (1995). Crime at Mayerling: The Life and Death of Mary Vetsera. Riverside: Ariadne. Wolfson, Victor. (1969). The Mayerling Murder. Englewood Cliffs: Prentice-Hall.